This handbook is written for transgender people, their families and friends; for professionals who in their day-to-day job may encounter transgender people; and for students, teachers, educators, academics, and members of the public at large with an interest in transgender people. 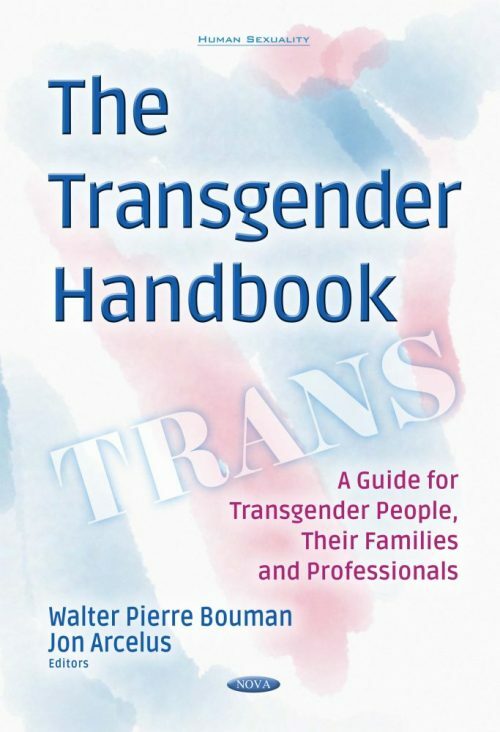 This handbook gives an in-depth overview on a wide spectrum of issues encountered by transgender people, from childhood to later on in life. Key topics addressed include medical and surgical treatments, access to transgender health care, sexuality, mental health issues, fertility, education, and employment. This practical guide is written in a clear and concise manner by more than 40 international specialists in the field of transgender health and well-being. This essential text is extensively referenced and illustrated, and informs the reader on a broad range of important gender-affirming issues. Chapter 14. Mental Health Problems in the Transgender Population: What Is the Evidence?